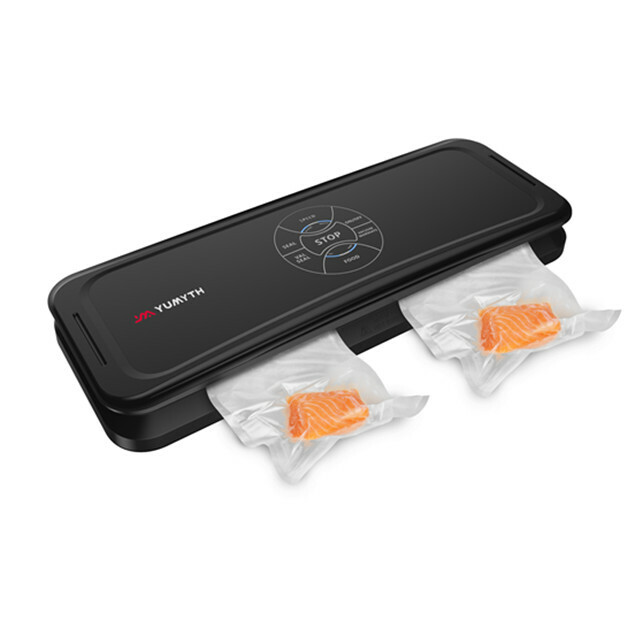 A household vacuum sealer can be of great help if your use it properly. On one hand, this vacuum machine will extend the life of your food items, which enables you to shop in bulk. On the other hand, it will save you money by cutting down on food wastage. Kill two birds with one stone, who doesn’t love that? 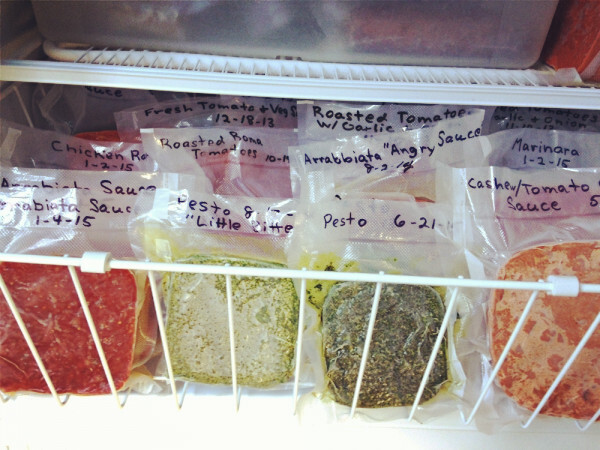 A few tips are put together as follows to help you get better use of a household vacuum sealer. We can’t avoid “wet” food like slimy fish, juicy fruits and veggies or marinated chicken. This is a trick problem that many people encounter when they use household vacuum sealer. If you put the wet food in the vacuum bag directly and begin to vacuum seal, you will notice that the moisture content will be sucked up into the vacuum sealing machine and get a real mess. On top of that, it also leads to the failure to seal the bag. The first solution: fold up paper towel and put it in the front of the vacuum bag, between the juicy food and the open end of the bag. The paper towel will block and absorb the juice and other moisture content as they move towards the vacuum chamber during vacuuming out the air. The second solution: Pre-freeze the juicy food products. If possible, you can use a spoon or other tools to pack down the foods to remove any existing air bubble before putting them in the freezer. 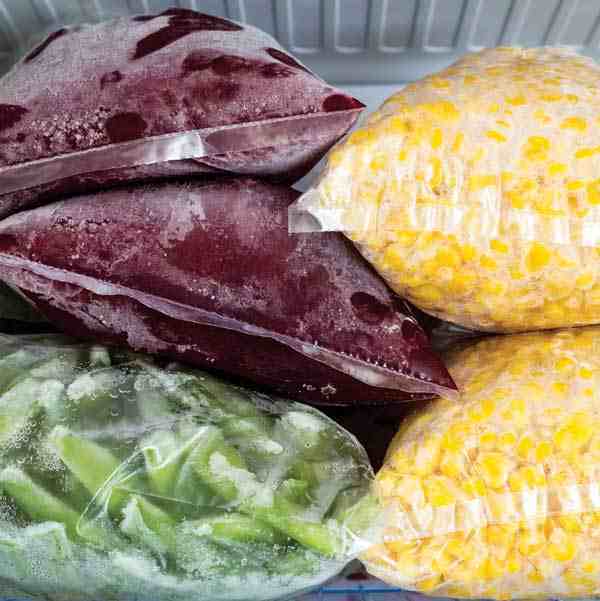 Once the food items are frozen, you can vacuum seal them with your household vacuum sealer machine. For foods that contains a lot of liquid like soup and porridge, you might as well need a plastic vacuum canister to do the trick. It is extremely important to keep in mind that the area where the seal happens is completely dry. Make sure 2-3 inches within the sealing are is dry. The reason? Most household vacuum sealers seal the vacuum bags by heating and the moisture content will be a handicap to a complete and tight seal, which will leave some pinholes you can’t see. Otherwise, after weeks when you get the food out of the refrigerator, oops, lots of air and worse still, freezer burn! Some people buy food items once a month and usually shop in bulk when the local store is running big sales. You purchase large packs for money saving and want to split them into several portions with vacuum seal bags. With plenty of packages stuff in the refrigerator, it is easy to forget which is which. Therefore, always mark the bag with food name and the date when the dish is made. Please check out another useful guide for dealing with fragile or soft foods when using household vacuum machine.